A charismatic, transformational leader, Joy D. Calloway has spent the last 24 years building organizations and executive teams. Her strengths? Motivating people, and building relationships and trust that foster healthy corporate cultures. 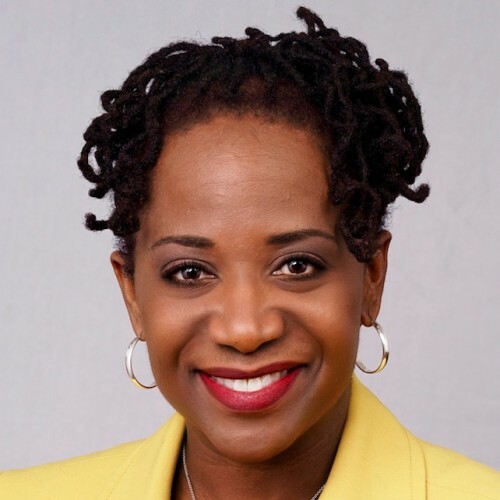 As President and Chief Executive Officer of New Center Community Mental Health Services in Detroit, Michigan, Calloway can keynote for the masses or strategize in the C-Suite with a board of directors. She’s funny and vibrant while educating her audience from years of research and experience. Joy D. Calloway specializes in healthcare operations and strategic management, community health and human resources, and speaks to various audiences about the skills needed to become a strong leader -- sharing her own personal stories of building (and re-building) three organizations from ground zero. Her areas of focus include: culture building, team-building, process improvement, strategic planning, community outreach and communication. "Communication is a hot button for me. Whether changing a culture, organizational processes, or corporate direction, you must have a solid communications plan, and execute it well." Calloway helps leaders and future leaders create their brand by helping them answer-- who do you want to be as a leader, how do you want to be perceived and how do you create experiences for yourself to help fill the gaps? As a speaker, Calloway brings high-energy, humor, straight talk and an introspection that's real and refreshing – sharing stories of her leadership wins, and the occasional "won't do that again," that only a leader with real-life experience can share. Calloway enjoys speaking to professionals about how to become mentors, champions and sponsors; how to transition people in an organization from one space to another and how to fill in the gap between where you are today and the optimal leader you want to become. "Managing your internal resources is more than just checking boxes and filling out forms – it’s how to connect with people." Another favorite topic of Calloway’s is emotional intelligence. She shares her secret to leveraging emotional information to guide one’s thoughts and actions, teaching young, early-career to more-senior, mid-career professionals how to read an environment, a moment in time, and alter their emotional response based on the moment. For-profit or nonprofit, Calloway customizes her speeches for different audiences, organizations and industries, so that she’s always speaking directly to YOU. She is particularly fond of group facilitation and retreat presentations for boards, leadership teams and general staff teams. For bookings, call DP Marketing Strategies at 832.304.4326.